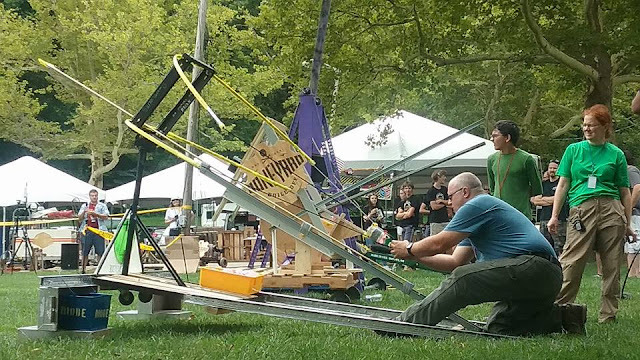 Thanks to everyone who came out to support us in the Boneyard Build-off at the Mini Maker Fair in Carillon Park this weekend! We had a great time, built a nice crossbow, flung some water balloons 75', and placed second overall! Thanks again to all the team members, friends, and family who helped make it all possible!